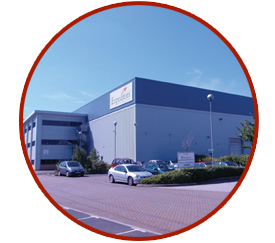 Fleximas is a British, family owned business, established in the UK in 1978. With our new warehouse in Birmingham, we have an even more reliable, speedy national distribution service, enabling us to deliver single products up to full truck loads. Through our 10 year partnership with Intermas Nets S.A., we can achieve our aim of buying from European sources wherever possible. Working alongside our highly trained and dedicated sales team, we also have our experienced sales agents whose sole aim is to supply our retail customers with fast selling products at the right price. Our customers and their customers come first - always. Technical expertise is provided to maximise the efficiency of our products in actual use. Our fully trained team works closely with customers to identify individual requirements and deliver cost effective solutions. Flexibulk and Fleximas source and stock the highest quality and competitively priced products. This is largely due to an extensive network of suppliers throughout the world and vast experience in overseas trading. The Flexibulk international storage and distribution network enables us to hold large stocks and deliver on time and at short notice. Flexibulk Ltd and Fleximas are committed to continued improvement in quality systems and we use world-wide best practice standards as our benchmark. Every Fleximas plastic product is safe to use, non-harmful to the environment and 100% recyclable.